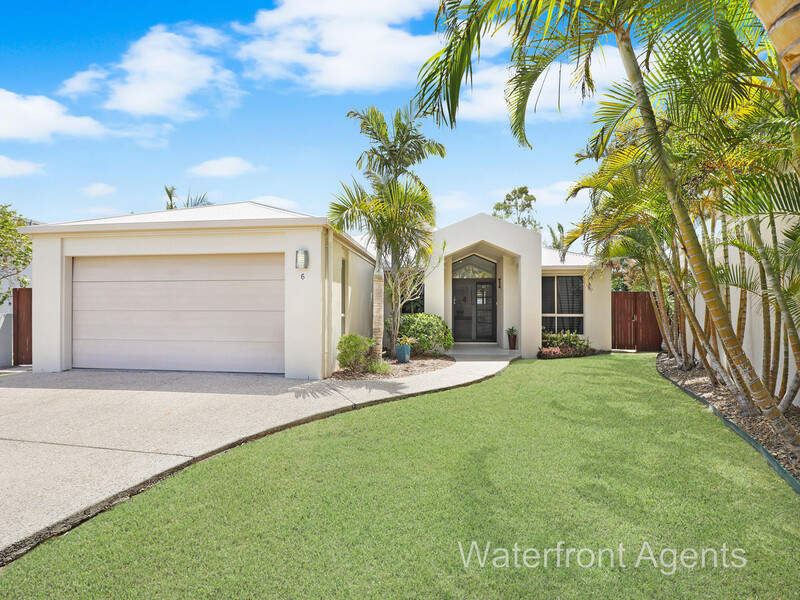 6 Tortola Place, Kawana Island is perfect for the downsizer, this charming single level home set on a 550m2 allotment, offers relaxed living and a low maintenance lifestyle, located in the desirable Kawana Island. 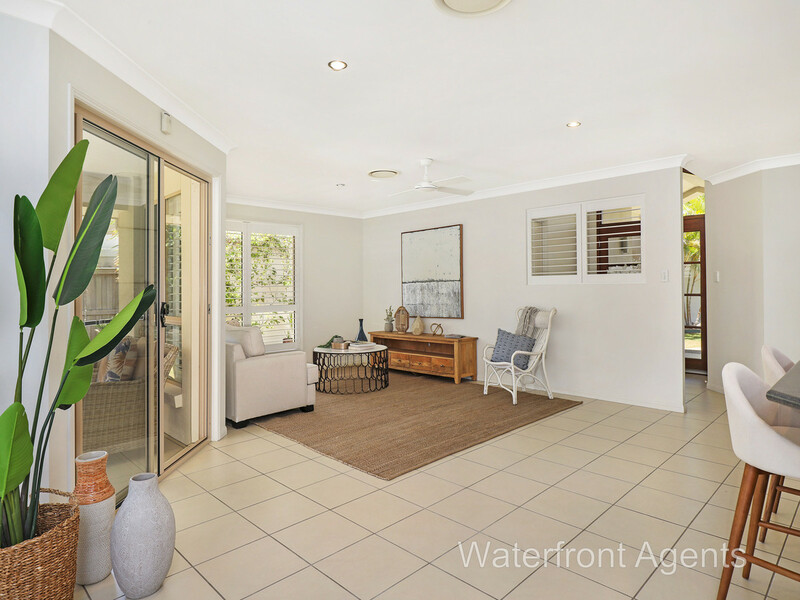 It has to be one of the best value homes on the Island! 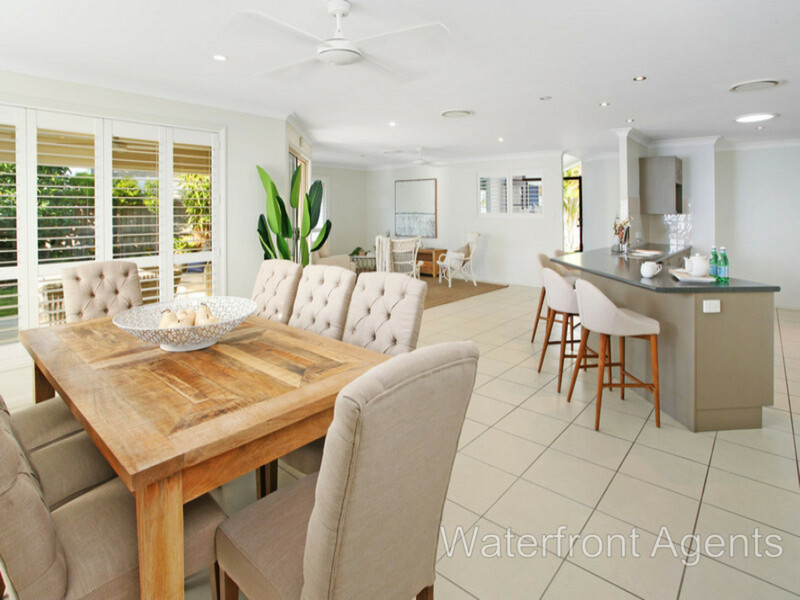 This affordable beautifully presented home is ready for you to enjoy today. 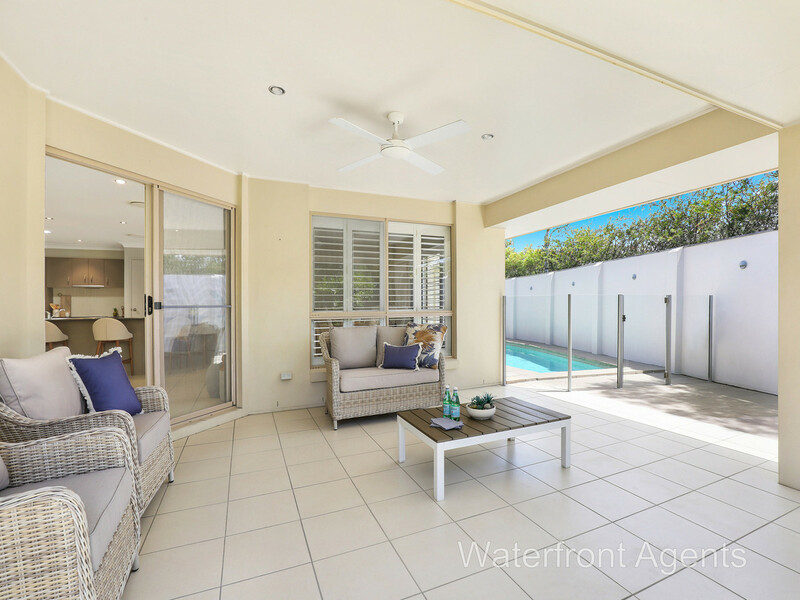 The open plan light and airy layout is the perfect blend of indoor/outdoor living with separate dining and living spaces which open to the undercover tiled alfresco, overlooking the inviting inground swimming pool and private backyard retreat. 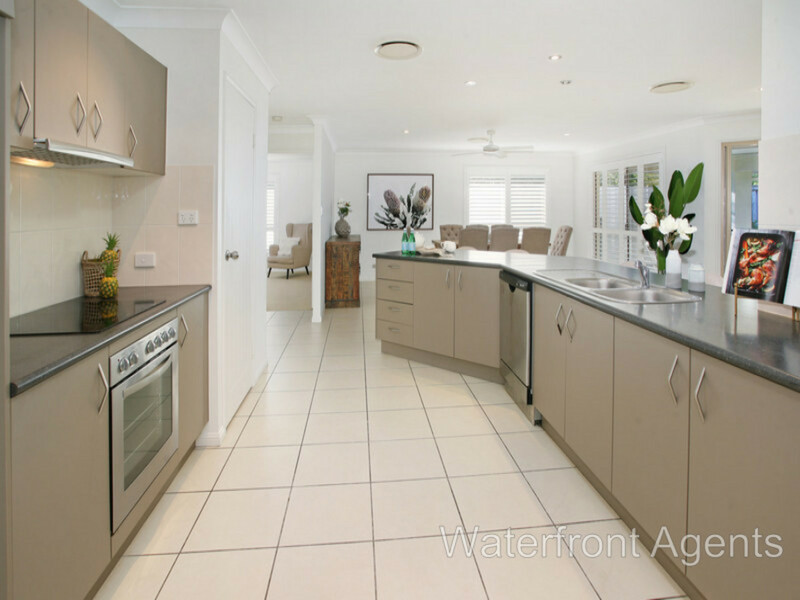 This will surely be a favourite area for the whole family. 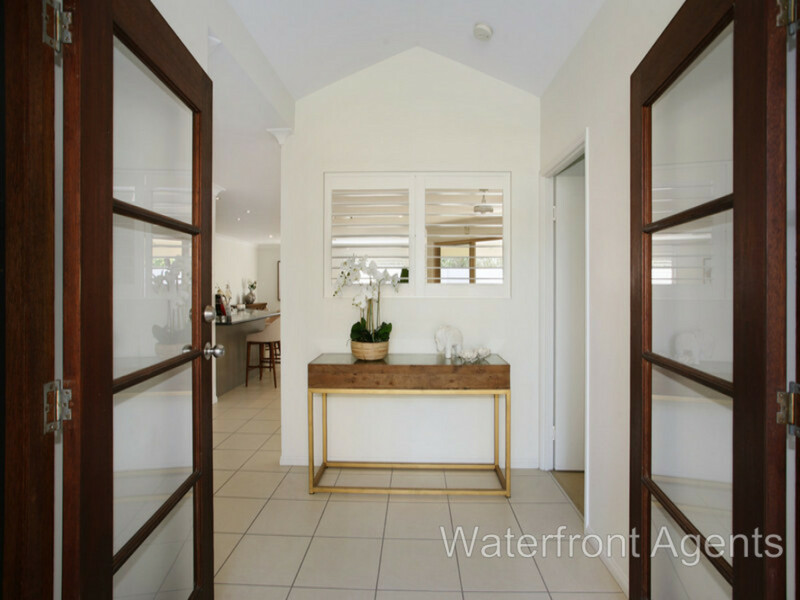 At the heart of the home, you will love the well-designed kitchen, generous in size and abundant with storage, modern appliances, large walk in pantry and breakfast bar centrally located to entertain friends and family with ease. 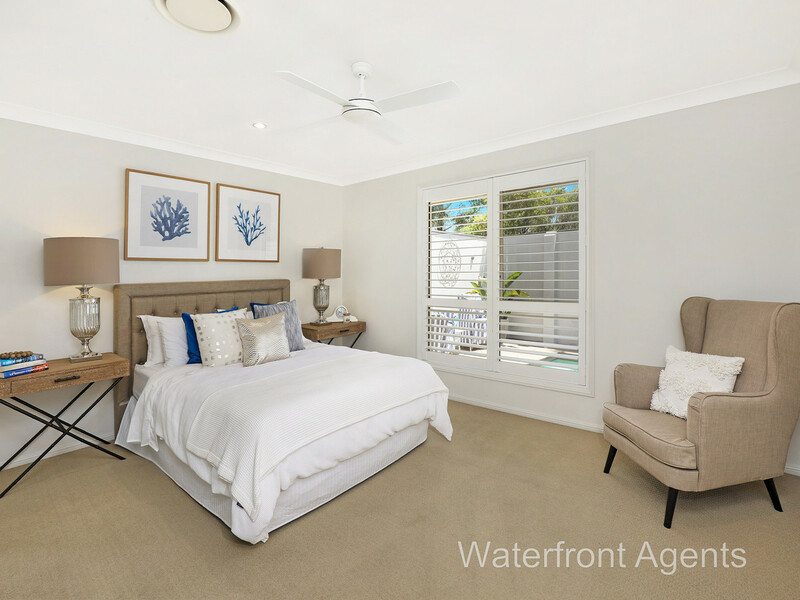 The large private master bedroom is located at the rear of the home offering a spacious walk in robe and ensuite, providing separation from the rest of the home. 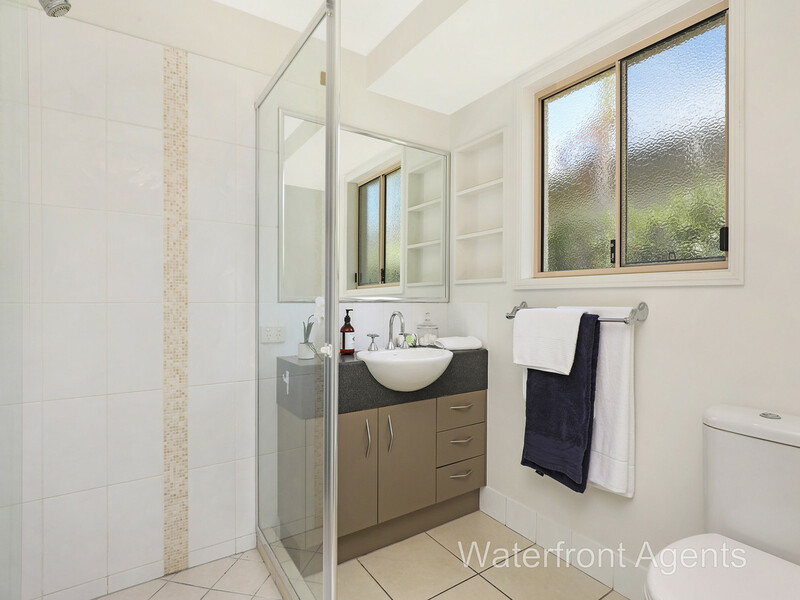 A further three bedrooms located at the front of the home with built in wardrobes, and a large laundry complete with plenty of storage and direct external access. 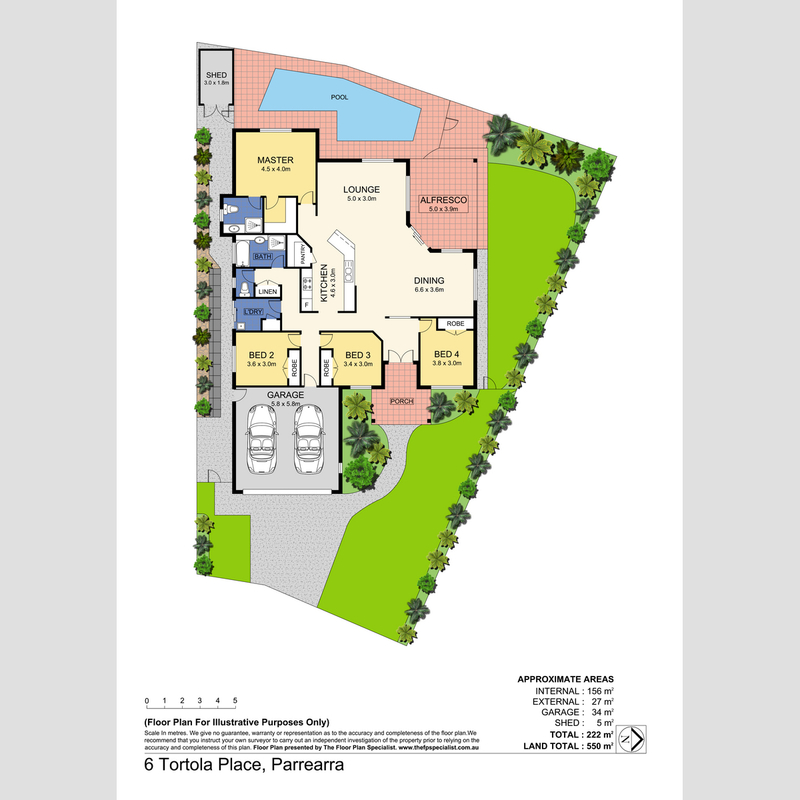 Secure with double lock-up garaging and ample space for off street parking with room for boat or caravan parking. 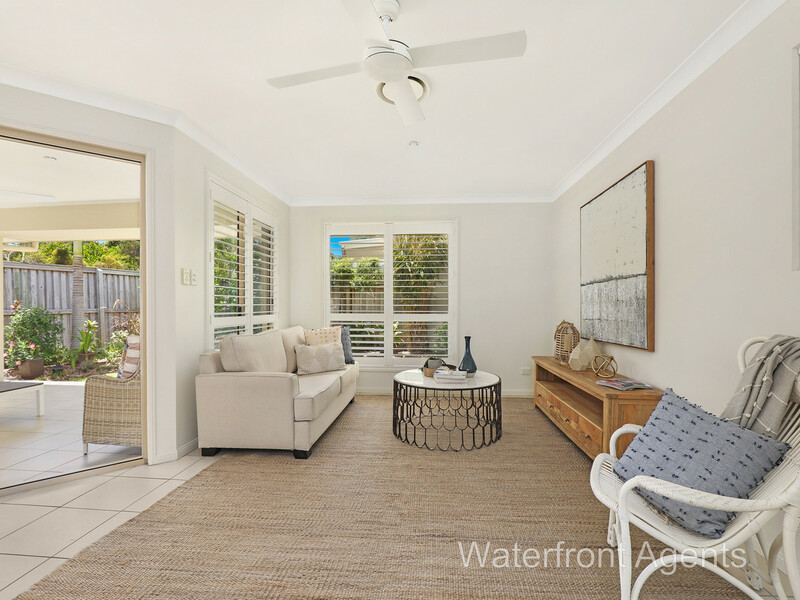 Other features include ducted air-conditioning and ceiling fans throughout, Plantation shutters throughout, low maintenance well established gardens and no rear neighbours. 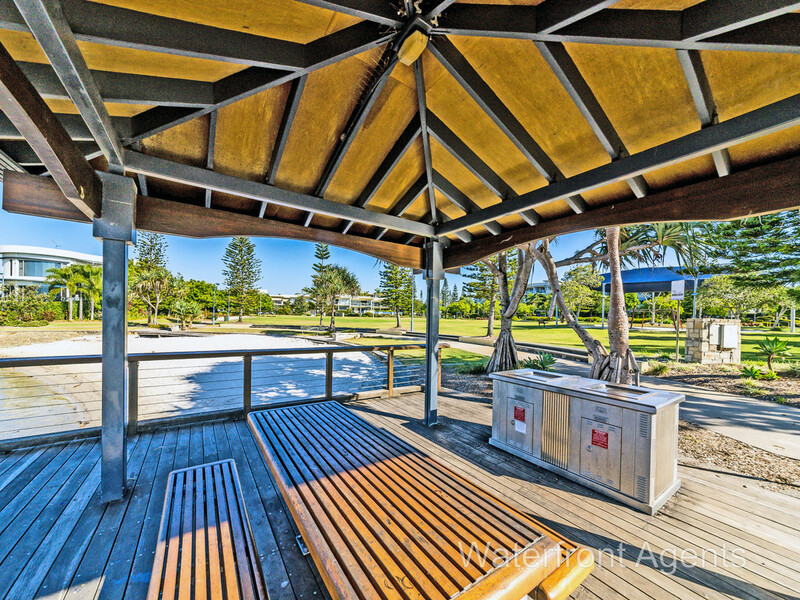 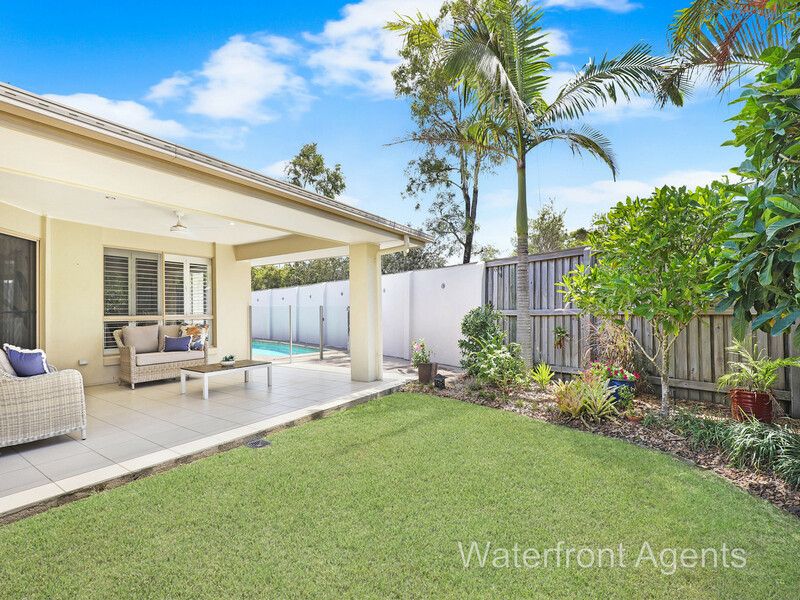 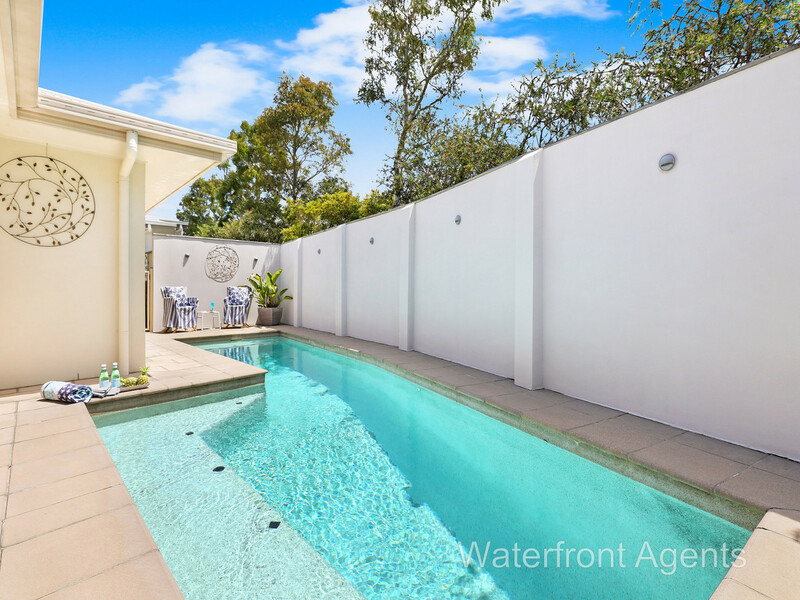 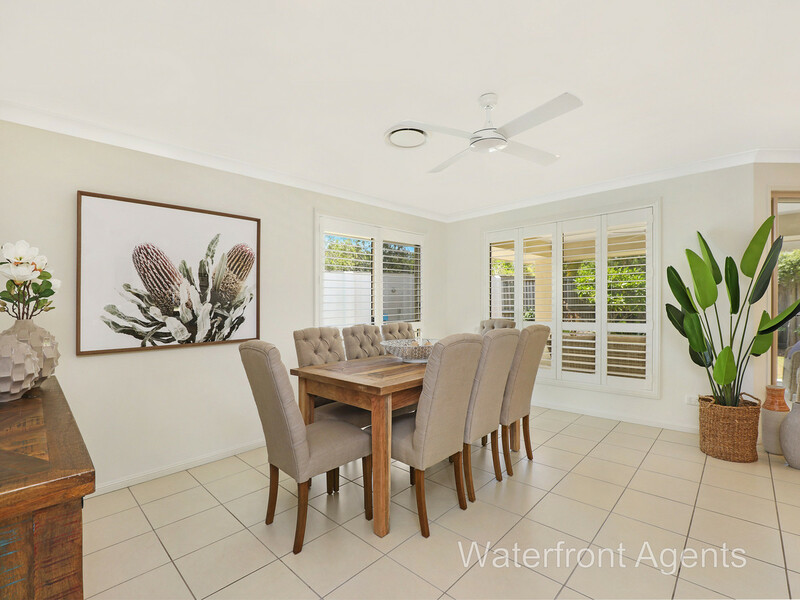 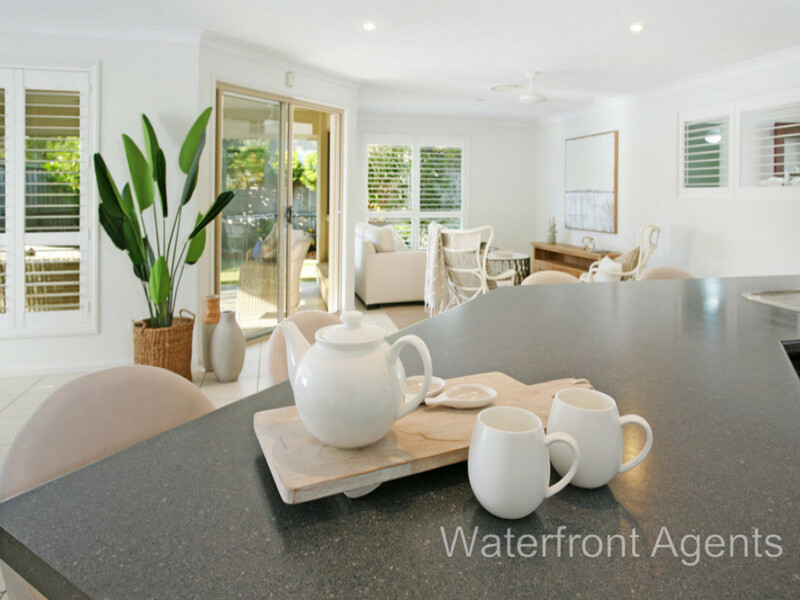 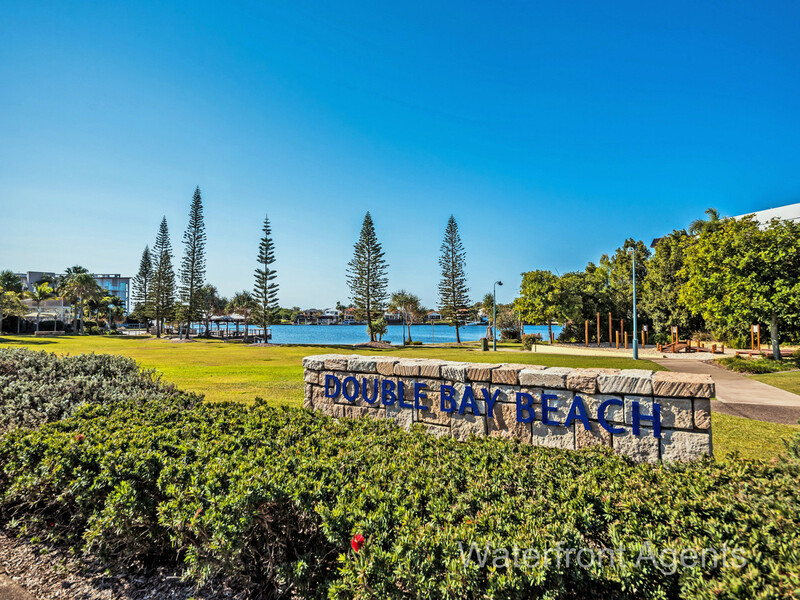 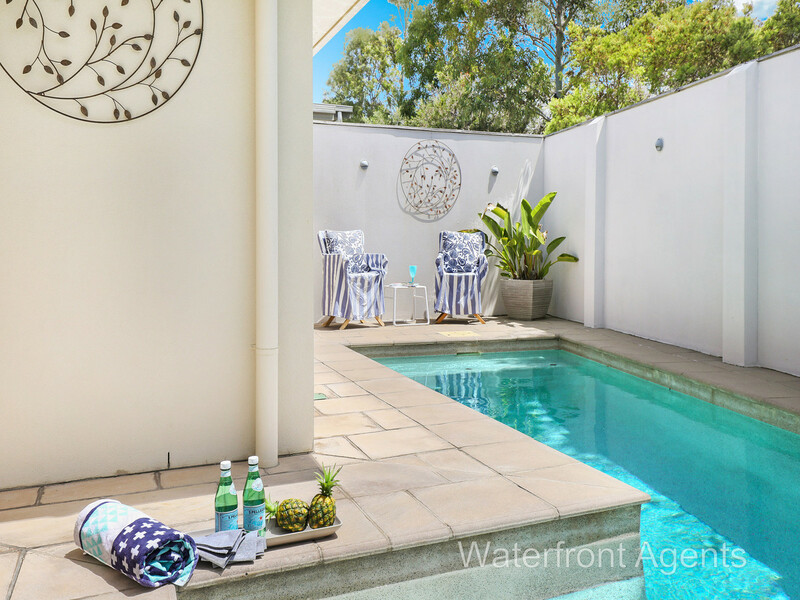 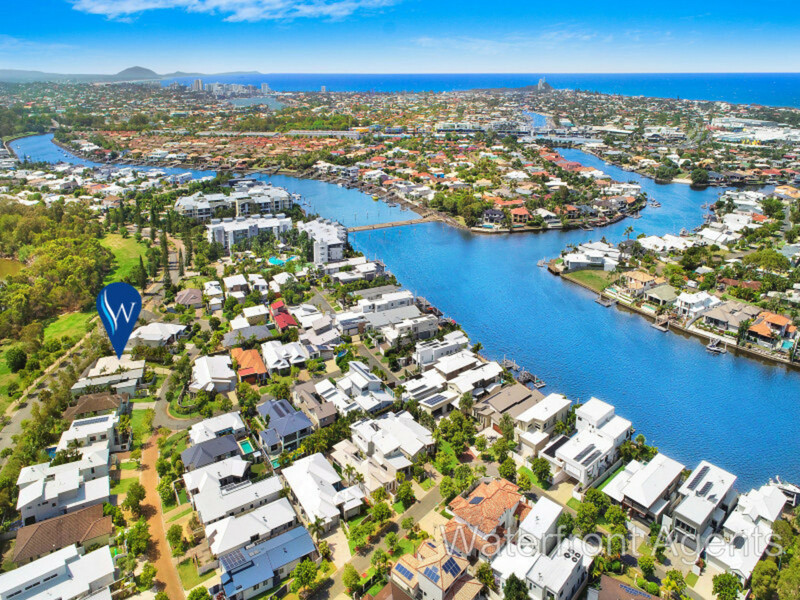 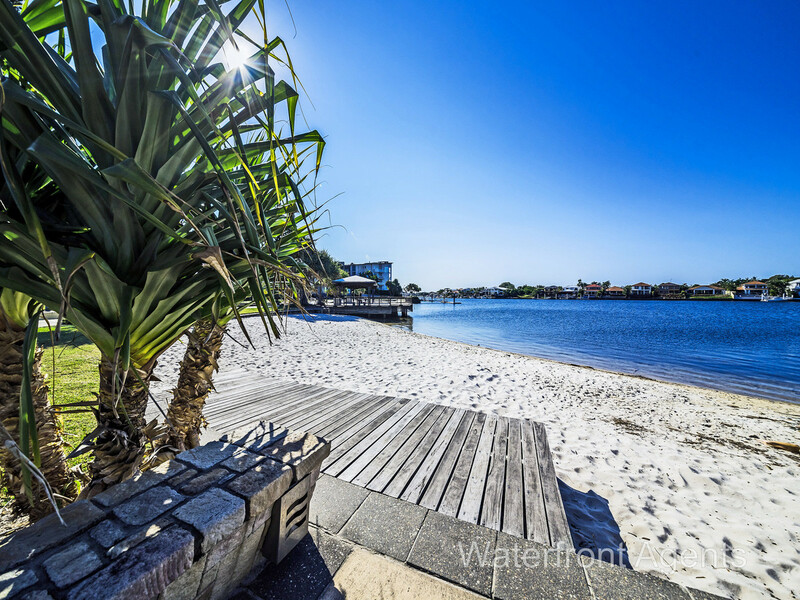 Set in the highly sought after Kawana Island, you are surrounded by open spaces, local restaurants, convenience store, and a fantastic walking track that winds around the Parrearra canal and local pristine beaches are also close by.